Waterpark - Berzsenyi str. 7. 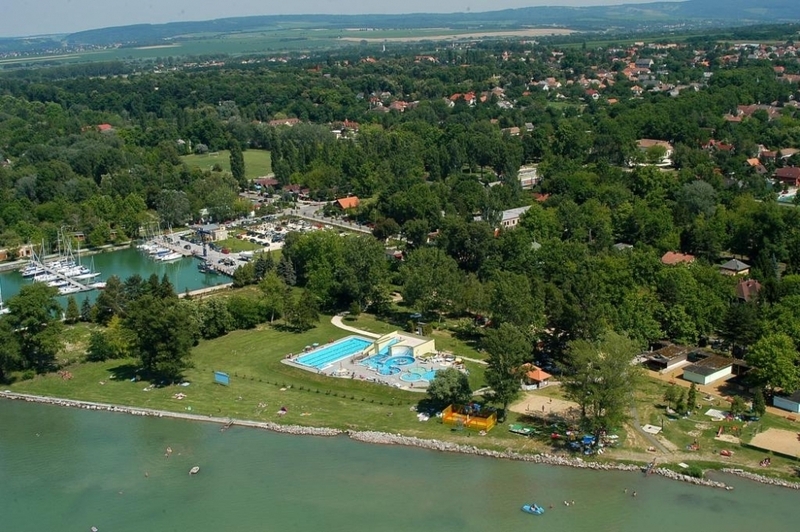 The Balatonszemes Waterpark is the busiest, most popular beach in the town. You find here basketball- , beach volleyball, beach soccer fields; ping-pong tables and various pools. This beach has an entry fee. Central beach - Berzsenyi str. 7. The central beach is located right next to the Waterpark, but it's free to visit. During the opening hours lifeguards oversee the water and a first aid area operate. Balatonőszöd's beach is free of charge. You find here basketball- , beach volleyball, beach soccer fields; ping-pong tables and various buffets.